Private collector (Lugt 610). (Jan Johnson, Montreal); purchased 2003 by NGA. Colorful Impressions: The Printmaking Revolution in Eighteenth-Century France, National Gallery of Art, Washington, 2003-2004, no. 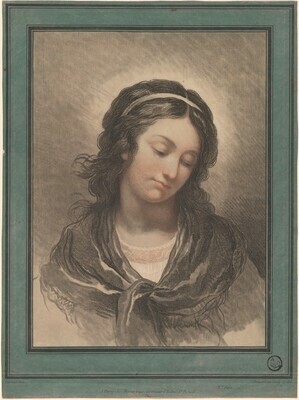 73, as Head of a Woman Looking Down by Gilles-Antoine Demarteau after François-André Vincent. Colorful Impressions: The Printmaking Revolution in Eighteenth-Century France. Exh. cat. National Gallery of Art, Washington, 2003-2004: no. 73.